← Let’s hear it for people with dirty hands. Love God, Heal Earth, Save Trees. What do a bunch of nuns in Minnesota have in common with a group of tree-loving Buddhist monks in Cambodia? Quite a lot, as it happens. For starters, they’re both aligned with Interfaith Power & Light an organization created by the spark plug also known as Reverend Sally Bingham, (currently the Environmental Minister at Grace Cathedral in San Francisco) to promote the idea that it is a sacred duty of religious communities to protect the environment. From its Episcopal beginnings, IP&L has blossomed into an ecumenical national group that is active in 30 states and includes 10,000 congregations of all persuasions. 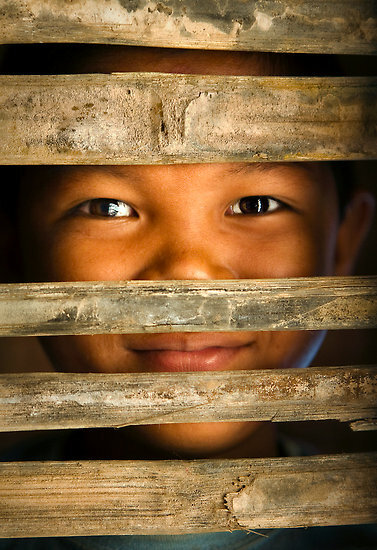 And now, IP&L has started the Carbon Covenant, four innovative projects in Cambodia, Ghana, Tanzania and Cameroon that link faith communities together across the globe in a common commitment to combat deforestation, the number one source of carbon emissions in the developing world. 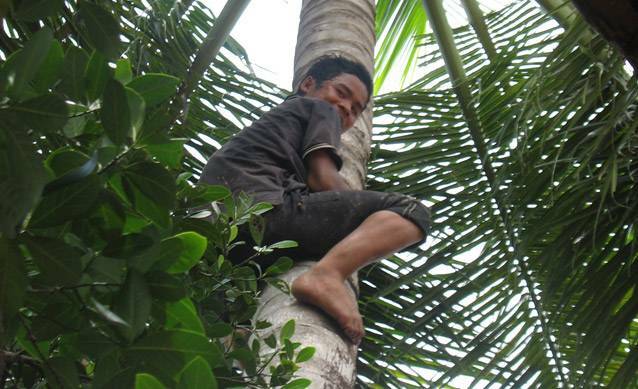 In Cambodia, which lies entirely in the tropics, rampant deforestation has reduced forest cover from 70% of the land to 3%, leaving just 1243 square miles of primary forest remaining. 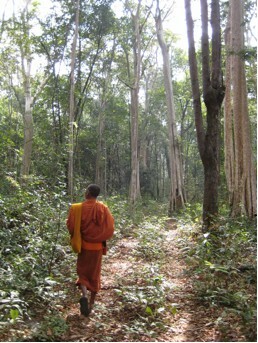 One of those forests in far northwest Cambodia is being protected by a group of Samrong Buddhist monks whose leader, Venerable Bun Saluth, established protection for the Monks Community Forest in 2002, based on Buddhist principles of respect for nature and for all life. “The tree is a symbol of life, and sacred to Buddhists: Buddha was born under the tree, attained enlightenment under the tree, and died under the tree,” Bun Saluth explains. The monks patrol the forest daily, hold tree ordination ceremonies, and invite the local people to use the forest for its non-timber products of bamboo shoots, wild ginger, resin, and mushrooms. 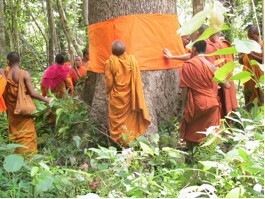 By supporting the local economy in sustainable ways, the monks have inspired their neighbors, 90% of whom are Buddhist, to substantially curtail illegal logging and save the forest. 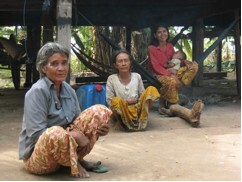 Cambodian villagers living near the forest. They are being supported in their mission by the Sisters of St. Francis of Rochester, Minnesota, who follow the rule of that original tree-hugger, St. Francis of Assisi. The Sisters were instrumental in establishing the Mayo Clinic and are now sponsoring two Carbon Covenant projects – on of which is saving the Monks Community Forest in Cambodia. And just in case you think nuns aren’t cool, read Nicholas Kristof’s column on why nuns rock.